No need to spend much time, just one day in Ninh Binh alone is enough for you to relax and regain energy starting new work week. 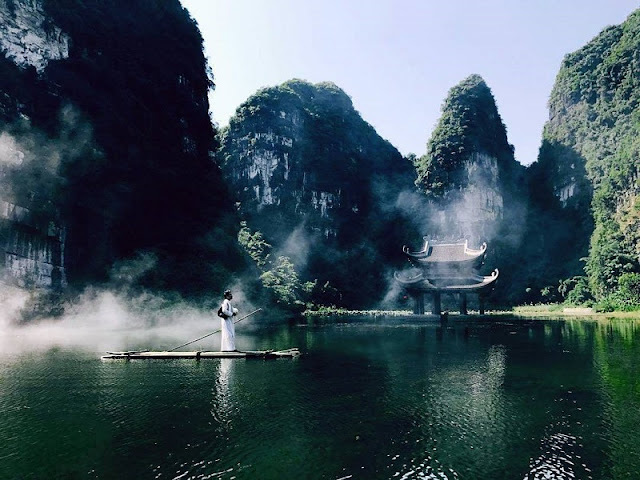 When you are too familiar with the cafes, or entertainment venues that do not know where to go to meet the passion to explore, you go to Ninh Binh. Located less than 100 km from Hanoi and only takes one hour by car, you can immerse yourself in nature and breathe fresh air. Ninh Binh has many attractions. If you have a lot of time, you can go for a full week, but if you can not manage it, then one day is enough for you to relax and regain energy. 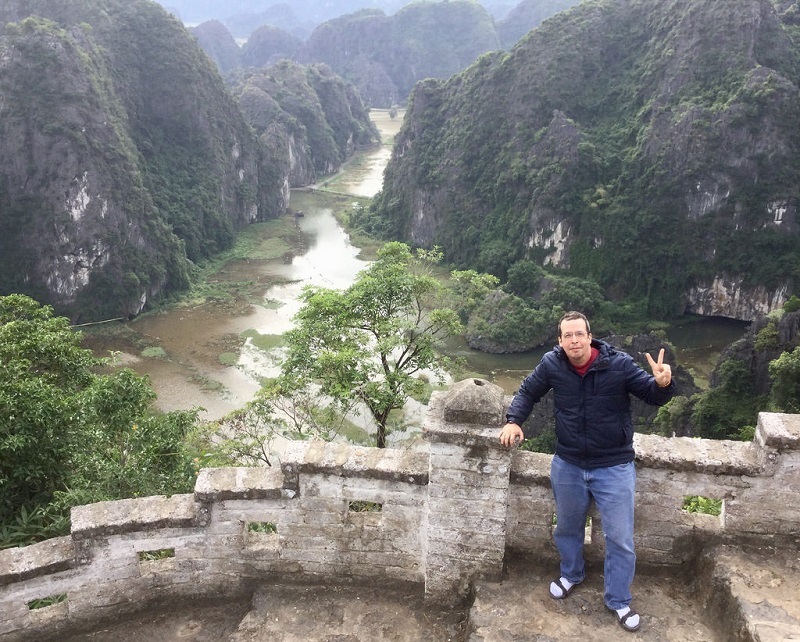 You can go motorbike to Ninh Binh but not familiar with the terrain as well as for safety is probably to drive from Hanoi to Ninh Binh in the popular tourist. Here are the places you can go for a day in this beautiful region. Trang An is the most famous tourist resort of Ninh Binh with beautiful natural scenery. In June 2014, Trang An was recognized by UNESCO as a natural and cultural heritage. Tickets are 200,000 VND, there are 3 routes depending on the length of the short and the time is different, the total time of travel here is about 4-5 hours. In Trang An, nature is well preserved. Sitting on the boat, you will be able to admire the special temples, such as the temple located in the middle of the lake, behind the mountain, the entrance is a tiny door, the door to go out must also go through the cave, although only a few hundred meters from the main road, but completely separate from the outside world. 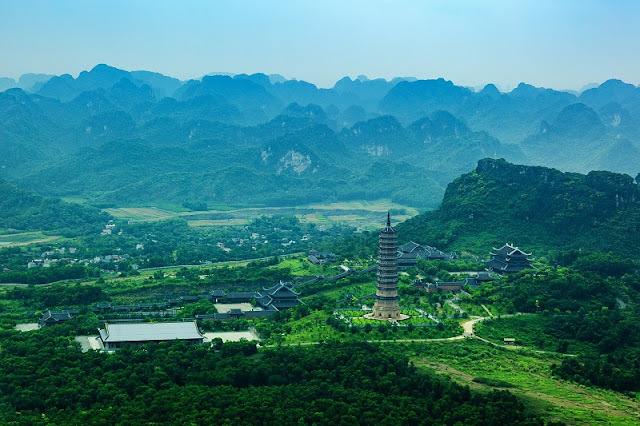 You will also go through the Vu Lam with the eagle-shaped mountains as protecting the sky. You can also visit the famous movie school Kong Skul Island movie to take pictures with Aboriginal people, revisit the boat appeared in the film. Tuyet Tinh Coc is about 6 km away from Trang An Ecological Tourist Area. It is no one here and quiet, sometimes there is a buzzing sound, so it feels so cool. Walking around this area is especially preferable. There is also the ancient gate of the ancient capital of Hoa Lu, where the imperial mandarin must go through this gate. Dance cave is located at the foot of Dance mountain in the ecotourism area of Khe Dau Ha village, Ninh Xuan commune, Hoa Lu district, Ninh Binh province. This is known as "the young lady of Tam Coc" or "Great Wall of Vietnam" with majestic scenery. To climb the cave dance you have to climb 486 stone steps. From the top of the mountain, we can admire the whole beauty of the Tam Coc area with the vast rice fields, green. In June, when you come here, you will witness the scene of golden rice fields brilliant. In addition to the landscapes, before returning to Hanoi, you go to a restaurant to enjoy the specialties of Ninh Binh such as fire rice, goat meat, fish salad, eel sausage ... to my trip complete in Ninh Binh.